This week, I’ll be featuring some grilled recipes for Labor Day. It’s the last week of summer, so we must celebrate. If you’re like me, you wish you were going away, but the traffic and craziness has convinced you to stay home. We’ll be having a “staycation,” grilling in our back yard and enjoying these last precious days of summer. 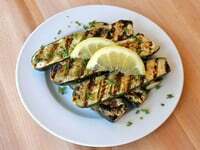 This recipe is one of those simple, tasty dishes that might become a standard on your grill menu, especially if you have a lot of zucchini growing in your garden. 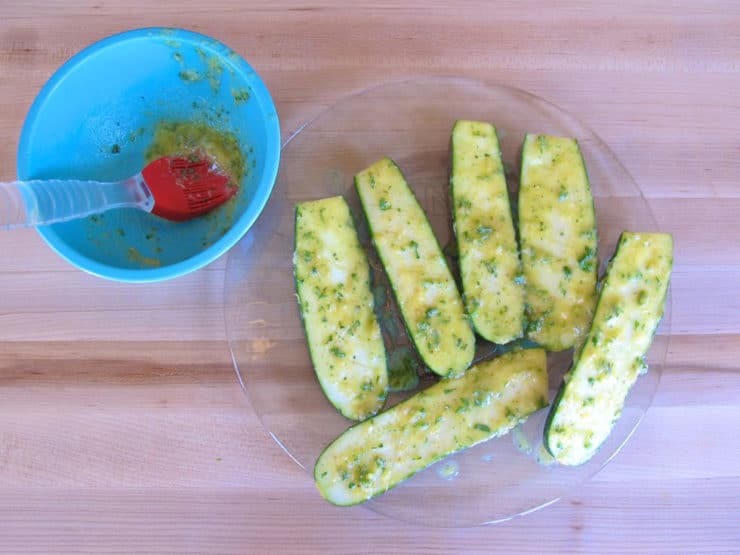 The simple basting mixture allows the natural flavor of the zucchini to shine through. The butter and lemon essence play so well together, giving these veggies a wonderful creamy zip. I like to pair them with my Tzatziki sauce and Sephardic Fish Skewers (recipe posting tomorrow). The zucchini (also known as courgette) is a relatively modern variety of summer squash. Like all squash, zucchini has ancestry in North America. Archaeological evidence suggests that squash may have been first cultivated on the isthmus between North America and South America (known as Mesoamerica) around 10,000 years ago. Squash was one of the three main native crops planted by Native Americans, known as the “Three Sisters”– maize (corn), beans, and squash. After the New World was colonized, squash found its way to Europe. Zucchini as we know it was developed in Italy in the late 1800’s, a distant relative of its Mesoamerican squash ancestors. It was introduced to America by Italian immigrants in the early 1920’s. Zucchini was bred to be tender, and is best harvested young when the seeds are soft and immature. 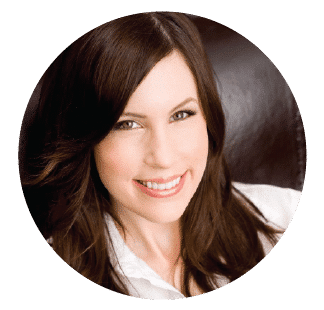 Their mild flavor compliments a wide variety of dishes. Zucchini blossoms can be stuffed and deep-fried. Zucchini may also be also stuffed and served as a symbolic food for Jewish holidays like Sukkot. 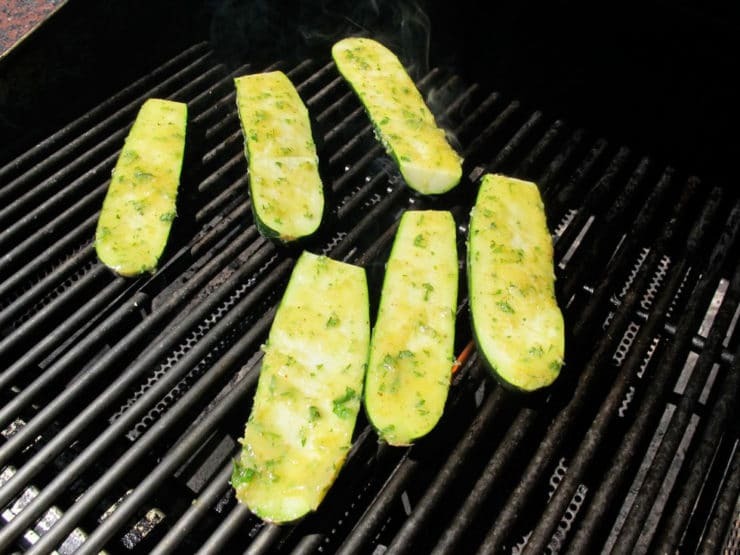 During the summer, I love to grill zucchini; it’s a simple way to enhance the mild flavor of this lovely squash. This recipe makes 4 grilled zucchini (8 halves), but when I photographed it I only had 3 zukes in the fridge. Don’t be confused, there’s enough marinade for 4. Grilled zucchini with a lemon butter baste - zesty lemon butter and fresh herbs brings out the natural flavor of these lovely grilled courgettes. Preheat your grill. Score the fleshy cut side of the zucchini halves with a few small shallow slits. This will help the butter sauce to penetrate the veggies; it will also make them cook quicker and more evenly. Place the zucchini slices skin side down, cut side up on a plate. 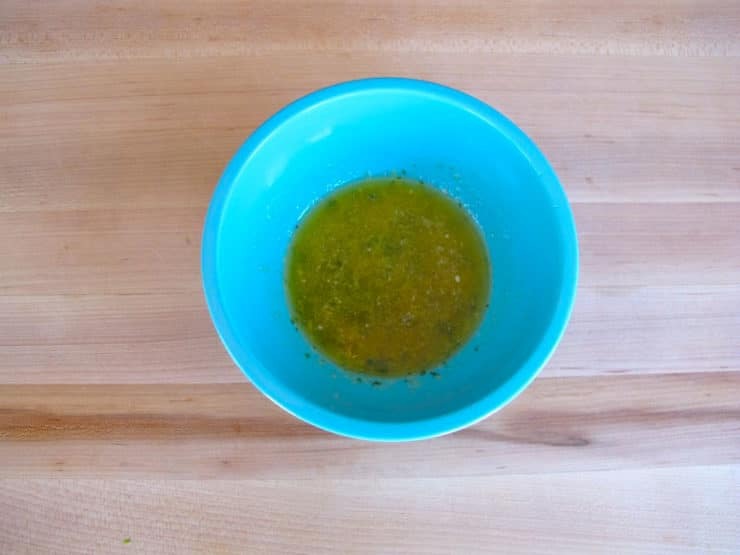 Whisk together melted butter, parsley, lemon juice, lemon zest, white pepper, salt and garlic. Baste the cut side of the zucchini generously with the melted butter sauce. 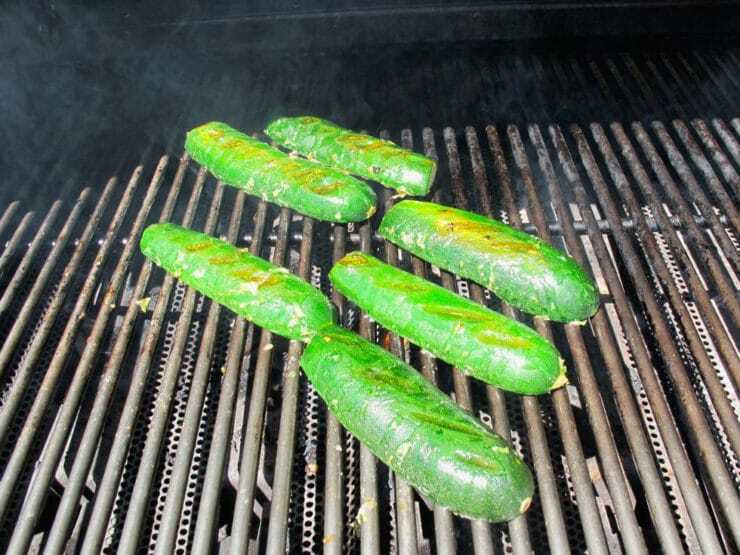 Place the zucchini on a medium hot grill, green sides down, basted sides up. Grill the zucchini for 6 minutes, then flip. Continue to grill for another 6-8 minutes till tender. Serve garnished with fresh lemon wedges and chopped parsley, if desired. Goes great with tzatziki sauce. I made this for my wife and myself tonight and it was great! It was much more flavorful than I thought it would be. We ate it with a side of jasmine rice and topped it with feta cheese. Thank you! Congrats on the separate food history site, I have always loved reading the stories! You’re the best! There’s those beautiful grill marks again! My zucchini did not turn out quite right the last time we tried to grill them. I think I’m going to revisit the idea though. The picture tutorial will be very helpful – I especially love the idea of scoring the zucchini first. I have tons of Zucchini from my garden and out of ideas, thanks for the tip! These look beautiful AND delicious. 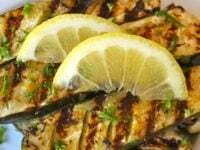 I’ve grilled zucchini in the past, but have never thought of using lemon on them. Thanks for the idea! Yum! 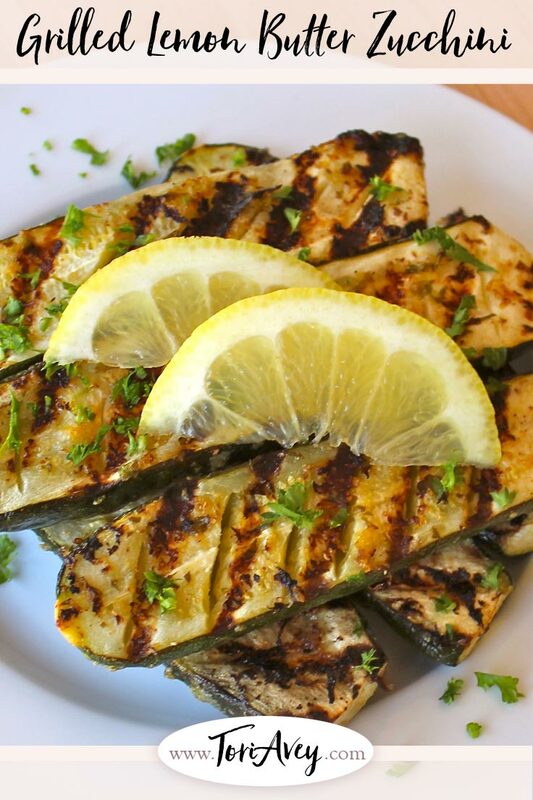 I love grilled zucchini and gobble it up…but always just make it plain with a little olive oil. The lemon butter sounds incredible. Hi Tori! Beautiful zucchini….I’ve grilled it, but I never thought to use lemon! 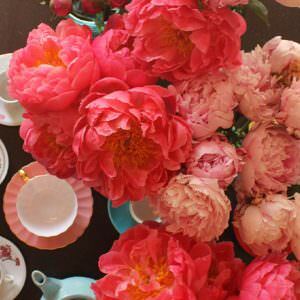 I love it…. 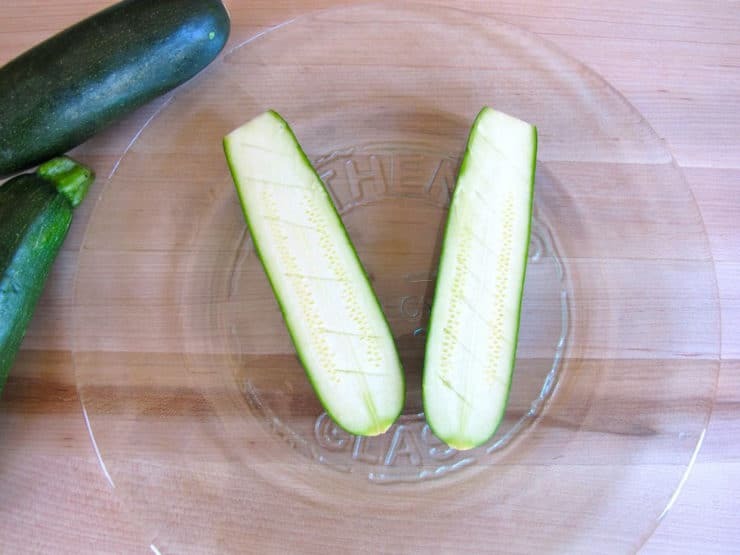 Beautiful grill marks – this is one of the most delicious ways to serve zucchini, especially this time of year. Bravo! this sounds fabulous! I think lemon and butter make everything better! A great way to end the summer! These look so yummy Tori. Great job on grilling them to perfection. We are staying home for the holiday weekend. But we are taking a day trip tomorrow. Should be fun. I still can’t get over how clean your grill is. Lol! It did go fast this year, didn’t it Ilke? Looks great -can’t wait to try it this weekend! Looks good…yummy! Will you have Lamb with that? 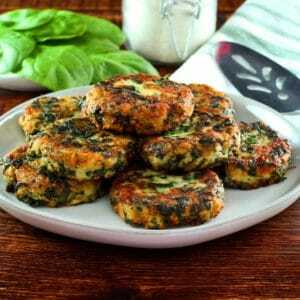 Tanya, I served these with my Sephardic Fish Skewers and tzatziki. It was the perfect combo, a healthy and tasty meal! That looks incredible…and the zuchinni plants in my garden are loaded! Thanks for a great idea!